Stay connected with the SAMSUNG Galaxy J7 SKY PRO S727VL4G LTE Prepaid Smartphone. Running Android 6.0 - Marshmallow this smartphone features a 1.4 GHz Quad-Core Processor, leading to better performance and quicker in-device communication. Trending at C $88.49eBay determines this price through a machine-learned model of the product's sale prices within the last 90 days. The Samsung Galaxy S7 - Big on screen and slim on profile. The First smartphone with dual-pixel technology features fast autofocus, so you can say goodbye to blurry photos. Catch every detail even in low-light. Trending at C $107.25eBay determines this price through a machine-learned model of the product's sale prices within the last 90 days. 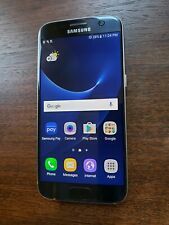 NEW Samsung Galaxy S7 G930A (AT&T) UNLOCKED. 32GB BLACK. This item comes in the original box with new accessories. Unlocked for use with any GSM Carrier WORLDWIDE. Will NOT work with CDMA Carriers such as VERIZON/SPRINT/BOOST MOBILE/VIRGIN MOBILE. **SIM CARD NOT INCLUDED** Included: Samsung S7 32GB Charger Usb Cable Headset Manual Box Please leave positive feedback if you are satisfied with your order! Samsung Galaxy S7 - SM-G930A - 32GB - Black Onyx (AT&T GSM Unlocked) Read!!! Phone, Battery, Back Cover, USB Cable (for charging and data transfer). It is safe and convenient for both parties. screen/bumper/button/back cover. Excellent Condition. 4.5 out of 5 stars - Samsung Galaxy S7 - SM-G930A - 32GB - Black Onyx (AT&T GSM Unlocked) Read!!! 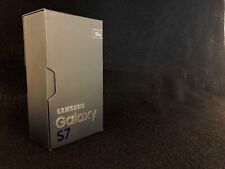 718 product ratings718 product ratings - Samsung Galaxy S7 - SM-G930A - 32GB - Black Onyx (AT&T GSM Unlocked) Read!!! Trending at C $151.79eBay determines this price through a machine-learned model of the product's sale prices within the last 90 days. Samsung Galaxy S6 edge . Colour : Black sapphire. Blue Model Processor: Octa Core. Encrypted 9900 PGP service & Off The Record "OTR"
32GB Gold. The phone is locked to Straight talk and Total wireless. Can not be used with any other carrier. We will try our best to make it as easy as possible. PREPAID Samsung Galaxy S5 - LOCKED to Straight Talk Wireless only. Never opened or used. Does not include any minutes or any promotion. FREE scheduling, supersized images. Back to Top. Trending at C $94.86eBay determines this price through a machine-learned model of the product's sale prices within the last 90 days. AT&T PREPAID iPhone 6S - Space Gray - 32GB. Will not work with contract service, or any other provider. It's hard to beat the Samsung Galaxy S7, one of the most highly rated smartphones on the market. 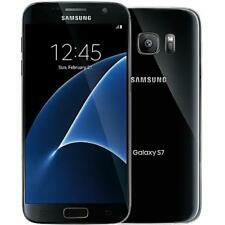 Total Wireless Samsung Galaxy S7 4G LTE Android Prepaid Smartphone Bluetooth 4.2 wireless technology. For Sale Pre-owned Apple iPhone 6S 32GB Space Gray for Total Wireless Prepaid Service. Was used as an iPod for internet and music only. It's in Great Condition. Still has plastic cover. AT&T PREPAID Huawei Ascend XT2 16GB 5.5” 12mp Smartphone Free Shipping!! Condition is New. AT&T HUAWEI Ascend XT2 smartphone allows you to watch movies, stay connected with friends and family. Locked to AT&T Prepaid Network. 5 out of 5 stars - AT&T PREPAID Huawei Ascend XT2 16GB 5.5” 12mp Smartphone Free Shipping!! 10 product ratings10 product ratings - AT&T PREPAID Huawei Ascend XT2 16GB 5.5” 12mp Smartphone Free Shipping!! Trending at C $133.00eBay determines this price through a machine-learned model of the product's sale prices within the last 90 days. Motorola moto g6 FORGE Smartphone (Deep Indigo). 1.4GHz Quad-core Processor. 4,000 mAh Battery. PHONE FEATURES Fingerprint Sensor. The HUAWEI Ascend XT2 smartphone allows you to watch movies, stay connected with friends and family, or listen to music with its more powerful battery on AT&T PREPAID service. The Iridium GO! Iridium GO! It's lightweight and small enough to fit in your pocket, yet versatile enough to mount in a cabin, recreational vehicle or boat. As with all Iridium devices, Iridium GO! Looks great and is working fine. Clean ESN. Clear Icloud. in the condition it was sold in. We do our best to facilitate a smooth. Free Local Pick Up. Trending at C $254.77eBay determines this price through a machine-learned model of the product's sale prices within the last 90 days. UPC: 190198446558. The phone is new and sealed. Trending at C $253.43eBay determines this price through a machine-learned model of the product's sale prices within the last 90 days. NEW TOTAL WIRELESS SAMSUNG GALAXY S7 SMARTPHONE 5.1” SUPER AMOLED 32gb 12mp F/S!